If interest-rate hikes aren't good news for you, then you've got something extra to celebrate on this month's Thanksgiving holiday. If they are, well, the Federal Reserve might deliver your Christmas present a bit early. 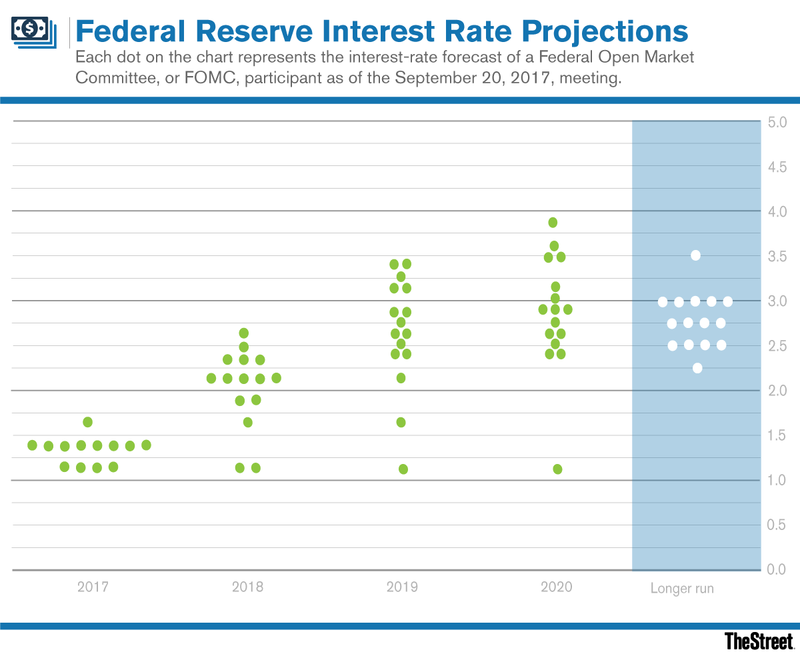 Interest-rate futures indicate a 92% chance that the U.S. central bank will raise rates 25 basis points in mid-December after leaving them alone at this week's monetary policy committee meeting. The break gives markets extra time to adjust to two hikes so far this year, which have taken rates to a range of 1% to 1.25%, as well as the winding down of part of the Fed's $4 trillion-plus balance sheet. In October, the central bank stopped reinvesting some of the proceeds from maturing Treasurys and mortgage-backed securities that it purchased to buoy the U.S. economy after the 2008 financial crisis. While committee members voted unanimously to leave rates at existing levels for now, according to a statement on Wednesday, Nov. 1, they noted solid economic growth despite disruptions from Hurricanes Harvey, Irma and Maria, and an unemployment rate that narrowed in October. Officials also remained optimistic about a "sustained returned" to 2% inflation, compared with 1.3% in September. "Everything is set up for a December rate hike, low inflation notwithstanding," said Greg McBride, Bankrate.com's senior financial analyst. "The uncertainty about the economic impact of hurricanes has subsided, and the Fed noted the strengthening economy by saying it is expanding at a 'solid rate.' If that's not a prerequisite for an interest rate hike next month, I don't know what is." The Fed itself has indicated as much. Monetary-policy committee members have built "a gradual path of rate hikes into their projections for the next couple of years," Fed Chair Janet Yellen said in a mid-October speech in Washington, D.C. One of those is next month, which would take rates to a range of 1.25% to 1.5%, followed by as many as three in 2018. The pace of the Fed's actions is pivotal for banks from JPMorgan Chase & Co. (JPM - Get Report) to Citigroup Inc. (C - Get Report) and Bank of America Corp. (BAC - Get Report) , which typically boost their margins by passing increases on to borrowers more quickly than depositors. "The Fed has spent a good deal of time and ink in recent months preparing markets for balance sheet run-off and further rate hikes" despite lower-than-targeted inflation, Barclays Plc economist Michael Gapen, who predicts a December hike of 25 basis points, said in a note to clients on Wednesday. "We see nothing in the November statement that suggests this view has changed."